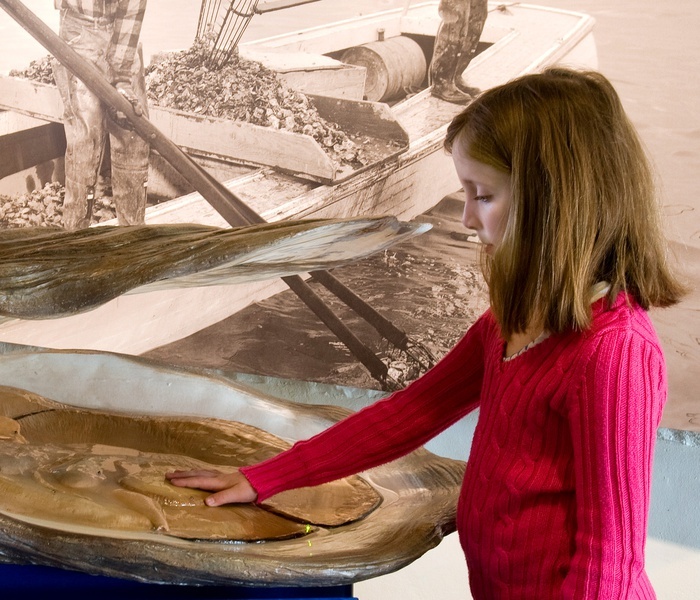 The exhibit focuses on the natural history of the innocuous bivalve crossostrea virginica and why it’s so important to the health of the Chesapeake Bay. It also celebrates the cultural history of the people who worked in the once-thriving oyster industry, either harvesting oysters or shucking and packing them at McNasby’s, which operated from 1919 to 1986. 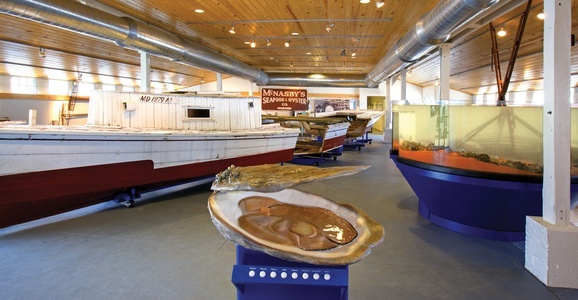 - Hometown Annapolis CGP designed a new museum and corresponding exhibits for the Annapolis Maritime Museum and the Chesapeake Gateways Network. Through this endeavor, McNasby's Oysters, which once operated for decades as a thriving oyster enterprise, has now returned as an active community center. The museum and exhibits tell the story of the oyster from cultural, historical and ecological perspectives. 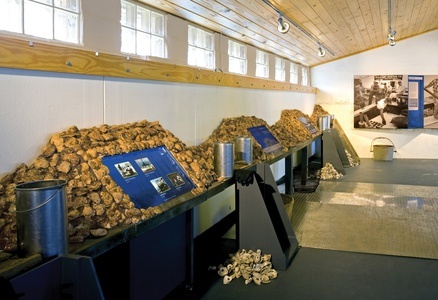 Wet displays include a touch tank and a large aquarium that fills with murky water at the beginning of a tour and is filtered to a clean clear state by the oysters by the conclusion of a one-hour visit.